Habitat conversion from forest to agriculture and then to degraded land is the single biggest factor in the present biological crisis (Dobson, et al., 1997), and predicting responses of ecosystems to perturbation is among the greatest challenges to ecology. Effective experimentation requires dedicated sites to provide long-term data for evaluating environmental changes and management actions, and develop the indicators and basic knowledge necessary to understand and manage ecosystems. This research station will be the first step towards the development of a database that allows the organization of data and the analysis of time series and correlations in the karstic moist forest. Common vegetation includes: Allophyllus crassinervis, Ardisia obovata, Casearia decandra, C. guianensis, C. sylvestris, Clusia rosea, Exothea paniculata, Homalium racemosum, Krugiadendron ferreum, Ocotea coriacea, Amyris elemifera, Tetrazygia eleagnoides, Trichilia pallida, and the endemic species Thouinia striata. The most notable aspect of Mata de Platano’s fauna is its bat-boa interactions.The Puerto Rican boa is an endemic species listed as endangered by the U.S. Fish and Wildlife Service. By providing suitable facilities, we expect to gradually increase the pool of scientists working in this region. 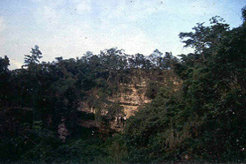 The karst region of northern Puerto Rico lies mostly within the subtropical moist forest life zone (Birdsey and Weaver, 1982) the largest life zone in Puerto Rico but one of the least studied. Although for obvious reasons these areas of karst topography are not vast, they have aroused the interest of karst specialists, especially from Europe, because of the excellent examples of cone karst, tower-karst, and many features not known elsewhere (Monroe, 1976). Located along the north coast and rich in raw materials for the construction industry, the karst country is under great pressure for development. 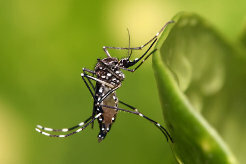 Malaria and yellow fever are absent from Puerto Rico, but dengue fever and rabies, although not a big problem, are present. Rabies shots are recommended for those working with mammals. Histoplasmosis may also be present in caves. 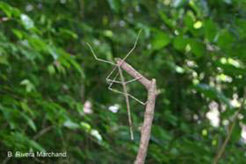 Snakes, wasps, tarantulas, centipedes, scorpions and poisonous plants are present but not deadly. However, persons prone to allergic reactions should bear in mind the ubiquitousness of these organisms. Proper footwear should be easily dried and give adequate traction on moss-covered rocks, risk of falls from slippery rocks or mud is present throughout most of the year. Recent activities conducted at this site. Weather data gathered at the station and at the Tallonal valley. 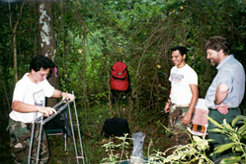 From projects conducted partly or exclusively at this site. White-nose syndrome is a disease affecting hibernating bats.